EDINBURG — Having played with Todd Wharton since the two were 9 years old, Eric Bird said he knew that Wharton would be making a run to the top of the 18-yard box precisely when he did. After fielding a throw-in near the top of the penalty area, Bird had no question where to move the ball. With his back toward the middle of the field, Bird turned left as if to make a move toward the net, only to flick a pass with his right heel to Wharton, who had time and space at the top of the penalty area. Wharton took one touch toward the middle of the penalty box with his right foot before firing a shot with his left into the top-right corner from about 16 yards. 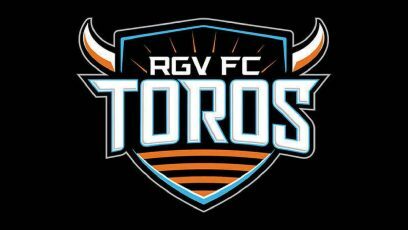 The goal proved to be the lone tally in the RGV FC Toros’ 1-0 win against the Swope Park Rangers on Saturday at H-E-B Park. Bird said the nifty back-heel find is not a play he’ll attempt all too regularly, given the low-percentage nature of the move. But Wharton was prepared to find the ball at his feet, drawing on their years of experience playing together. They were on separate teams for much of their youth careers in Virginia but were teammates for three years at the University of Virginia, then reunited again last season with RGV FC. “With him, you have to be ready for everything, and you have to hope and trust that he’s going to get it to you, and he does most of the time,” Wharton said. RGV FC (4-3-0) continued to generate greater offensive pressure since switching Bird to forward and moving Wharton into the starting lineup on April 29, the team’s most recent outing prior to Saturday. Even without Joseph Holland, who had a goal and an assist in the Toros’ previous game, RGV FC outshot Swope Park 5-2 in the first half before settling into a more passive rhythm. Holland missed Saturday’s game due to a family emergency in his home country of England, coach Junior Gonzalez said, and he is expected to be with the Houston Dynamo for road trips through May 20. After scoring just four goals in five games to open the season, RGV FC has found the back of the net four times in its past two outings, with Bird and Wharton playing central roles. During his first professional season with RGV FC last year, Wharton played just 24 minutes across two matches before discovering he had suffered a stress fracture in his foot during the preseason. He returned home to Virginia to undergo surgery and was not cleared to even begin soccer activities again until November — about six months after the procedure. So far this season, Wharton has appeared in all seven matches and logged 328 minutes, including his first two starts in RGV FC’s past two outings. Saturday’s tally was his first goal as a professional. RGV FC entered the week as one of only three USL teams to concede four goals or fewer on the season and continued that run of strong defending with another clean sheet. The Toros defense did not allow much to come keeper Borja Angoitia’s way, and he was quick to charge forward and snuff out would-be opportunities. He finished with four saves. Kai Green led RGV FC’s back line in both tackles with five and touches with 78. Swope Park finished the game with eight shots to RGV FC’s seven and 58.3 percent of possession to RGV FC’s 41.7 percent, but Gonzalez said he was fine with the margin given that the majority of the Rangers’ possession was not threatening. RGV FC aimed to keep Swope Park out of the middle of the field, where Gonzalez said the Rangers are at their most dangerous.